People pass underneath a U.S. 52 bridge in Huntington built in 1976. 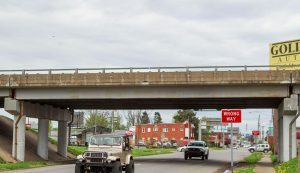 HUNTINGTON, W.Va. — A national report has indicated 47,052 bridges in the United States are in poor condition, and West Virginia is ranked high for the number of structurally deficient bridges in its inventory compared to other states. The annual report, done by the American Road and Transportation Builders Association (ARTBA), indicates the pace of repair in 2018 slowed compared to previous years, with only a 1% net reduction of deficient structures. ARTBA estimated it would take more than 80 years to make all the necessary repairs at this rate. West Virginia has 7,269 bridges in the state, 1,444 (19.9%) of which are classified as structurally deficient. These include all sizes of bridges, from large interstate bridges that millions of cars cross every year to small rural bridges that might only serve a couple of people. 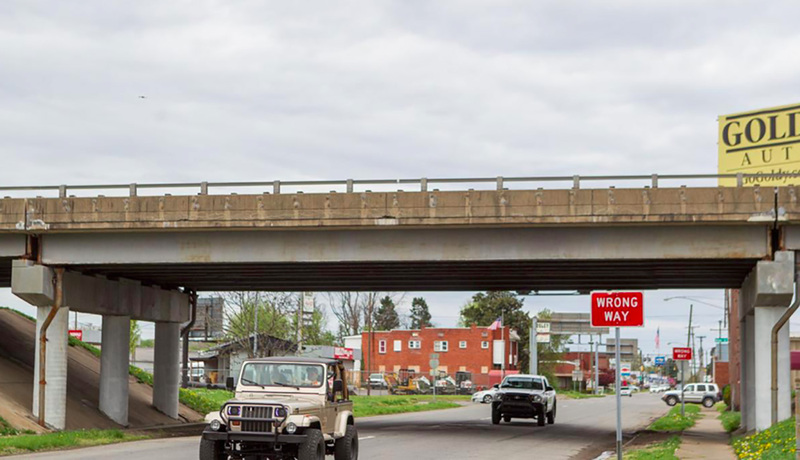 The state is second in the nation, behind Rhode Island, for the most structurally deficient bridges as a percent of its total inventory, and 12th in the nation for number of structurally deficient bridges.